Park Shin Hye has become the promoter of MBC's new music channel - MBC Music. The main concept of the CF is for a beautiful woman to set out on a one-person music trip to commune with music. The shooting was taken at a reed beds on the outskirts of Seoul, a cafe, a train station and at the East Sea of Korea. 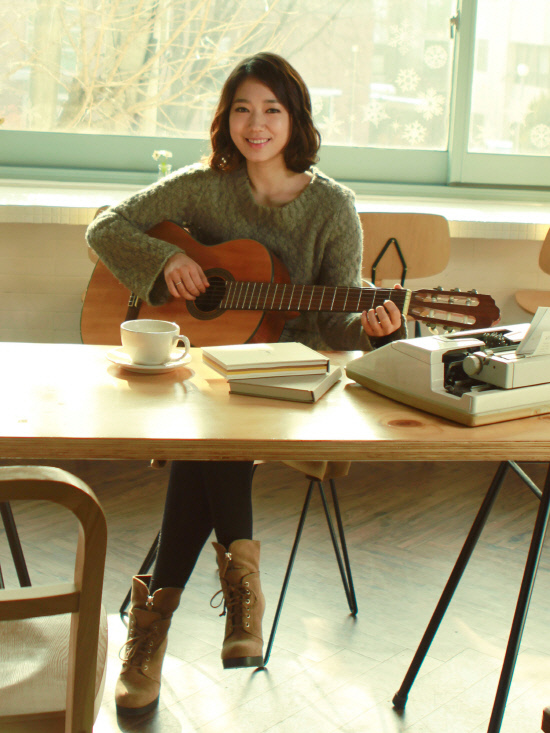 In the CF, Park Shin Hye shows her charms while enjoying music. As soon as the CF was launched, it attracted much attention among local and international fans, who compliment the beautiful actress's performance, especially the scene in which Park Shin Hye plays the guitar in a cafe. The entire CF gives viewers a harmonious and soothing feeling. Park Shin Hye expresses her feelings on being selected as a model by saying: "Music is an essential part of my inspiration. To me, music has a special existence. During the shooting, I enjoyed myself so much that I did not feel like I was filming a CF. Instead, I felt like I was really on a music trip." "It was very surreal. I had a lot of fun filming and I hope that viewers can learn more about different types of music through MBC Music." MBC Music will officially launch on February 1 2012. Meanwhile, Park Shin Hye is preparing for her 1st solo fanmeeting diligently. The FM will be held in Tokyo, Japan in February and Park will perform singing to her fans. its on the 2nd of feb right? What a good year to start with all these news about Shin HYe!Looking forward for her next drama, FM's, Movie and CF's., now all her hard work is paying off and she truly deserves it. -Thanks admin for the updates! congrats Shin Hye! whatever will be your undertakings we will always support u! We love u always! totally gorgeous!! Thank you PSHIFC for English translation of Park Shin Hye news! A new venture for you. Wish you all the best. It will definitely help in your growth as a person and an artist. The MBC music director made an excellent choice. You are looking fresh, beautiful and happy. Soft colors in the CF offset your serene, contented expression. Actually, this CF is better publicity for any skin care product. Its so fresh and natural. Love all your pictures but the one in guitar is the best. Your love for music can be seen so clearly in the CF and all the pictures. I totally love the clip...i wonder if she will be the 'host' of the show??? it must be such an honor for her to be personally chosen by one of the station's big head. This is the prize of being humble always. "You can never put a good man down." Yes... you're getting more beautiful than before and say LOVELIER! I wish there will be a 2nd season for "You're Beautiful with the same cast...Hello to Hong sisters...!!! Wow excellent! in all angles, you're always beautiful, PSH. You makes everyone feel comfortable, soothing and refreshing! You brings unexplainable charisma and a lively spirit. It's a good choice and decision made by the head and director of MBC Channel for you to become the face for MBC music. Great job! she is indeed perfect in that CF!!! Another side of her as an actress. i really like the cf,she looks so beautiful and fresh,i wish to see her in new drama and movies,i like her with jang geun suk.hope there is part of yab. i love her.. hope they do another drama pairing up gain with jang geun suk.. they really look good together. Love all her Dramas & Movies. How many Epsiodes does the MBC Music & Lyrics?? When will be her next Dramas cast with Popular Actor such as Jang Geun Suk, Jung Yong Hwa, Kim Hyun Joong, Lee Min Ho?? 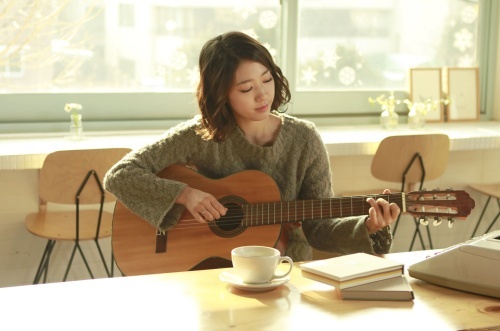 Will there be HeartStrings 2?? ?